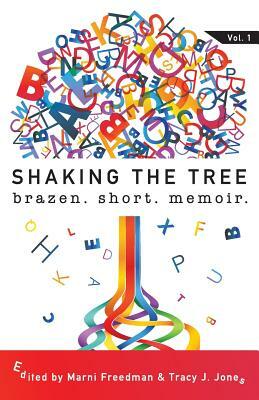 Shaking the Tree features 29 talented authors in one stunning anthology. The Memoir Showcase, Marni Freedman, and Tracy J. Jones are proud to present a selection of our most compelling, true stories drawn from our annual contests. These pivotal portraits speak to our diverse community and its willingness to share the most challenging, awe-inspiring moments that make up the human experience. From life-changing moments with a Maasai warrior to a wild and unexpected coming-of-age tale in a carnival, Shaking the Tree reveals moments of courage, vulnerability, humor, and honesty. The stories within these pages are breathtaking.